Every Commonwealth war graves cemetery of a certain size has a stone of remembrance with Rudyard Kipling's words - Their Name Liveth For Evermore. 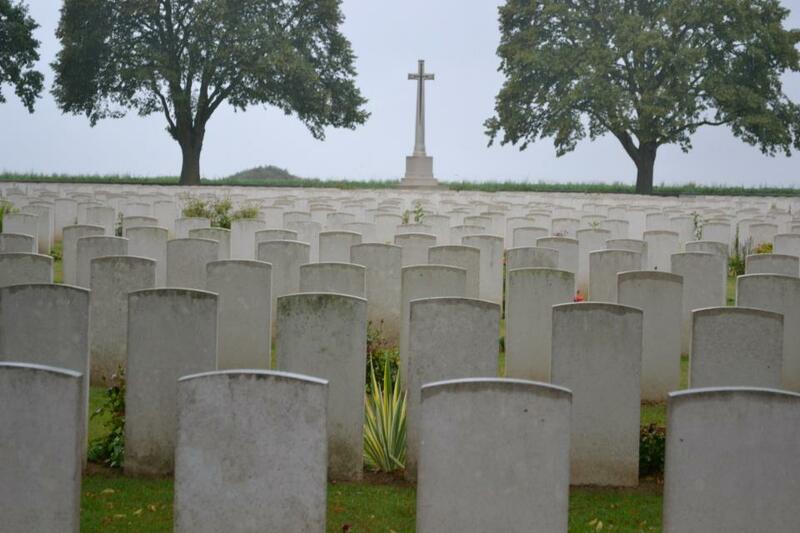 Every graveyard has its sombre beauty whether there are 24 graves, in Jeruselum Commonweath Cemetery, Normandy or the overwhelming 11,000 in Tyne Cot Commonwealth Cemetery in Belgium. The gravestones face towards the front line of their respective conflict. 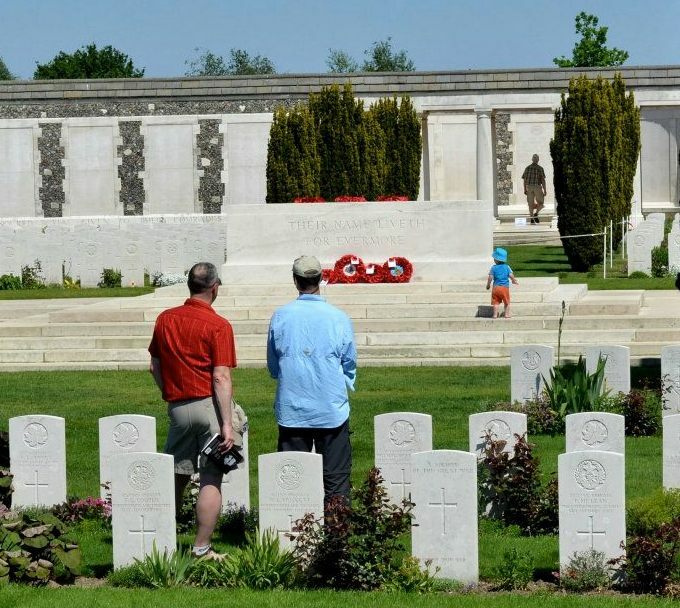 When we stand in remembrance at these locations it can be emotional and knowing the narrative of the battle, the dates, the military units' names, or the individual soldier's story can help frame the experience. When we visit their final resting place, it is a way to make sure that they are always remembered. The largest Commonwealth cemetery in the world. All Commonwealth gravestones face towards the front line. The French flag flies over the La Targette Cemetery, near Vimy.